This post is sponsored by Pinnacle and the BlogPaws Professional Pet Blogger Network. 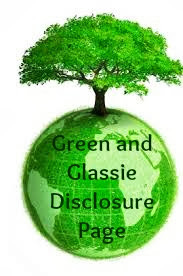 I am being compensated for helping create awareness about Pinnacle's Newly Formulated Grain Free Dog Food, but Green and Glassie only shares information we feel is relevant to our readers. Pinnacle is not responsible for the content of this article. These past two weeks I have been camping and traveling the west with Diesel and my family. What a great experience to be able to enjoy my trip with my best bud! One of my favorite places that we played tourist was Yellowstone National Park. If you have not visited Yellowstone...you really need to add it to your Bucket List. When asked what was my favorite experience at Yellowstone - my response is always the same. 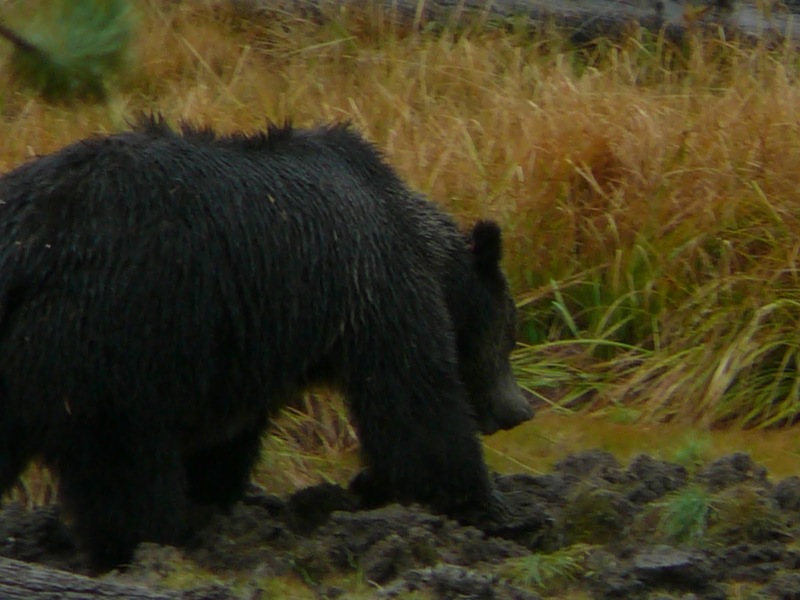 Seeing the Grizzly Bear up close in the wild was and is one of the greatest thrills for me. stopped at the location of the grizzly - there was a Park Ranger there to ensure everyone was a safe distance from the bear. The pic does not give the bear justice - he was HUGE!!! and BEAUTIFUL!!!! off energy from traveling all day. This is a pic of the dog exercise park at the Badlands KOA. 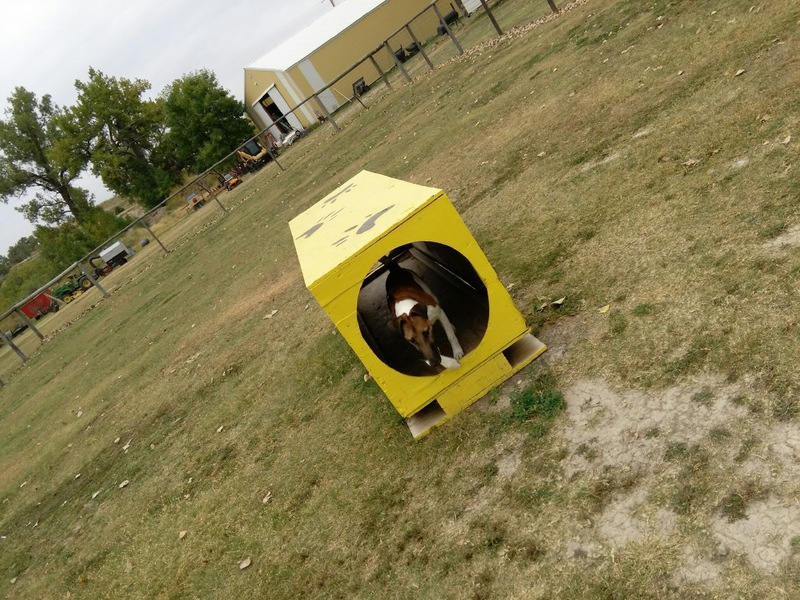 As you can see it is a good size and has some fun areas for Diesel to check out. Making travel fun and easy with Diesel is as important to us as making sure Diesel has the best nutrition. We only feed Diesel natural quality dog food. Have you heard of Pinnacle® Pet Foods? Pinnacle is a natural holistic pet food company located in California. All of their products are Grain Free ~ American Made using quality ingredients like quinoa, pumpkin, kelp, flax seed, blueberries, sweet potatoes and cottage cheese. Grain Free, limited ingredients and made in their California plant. 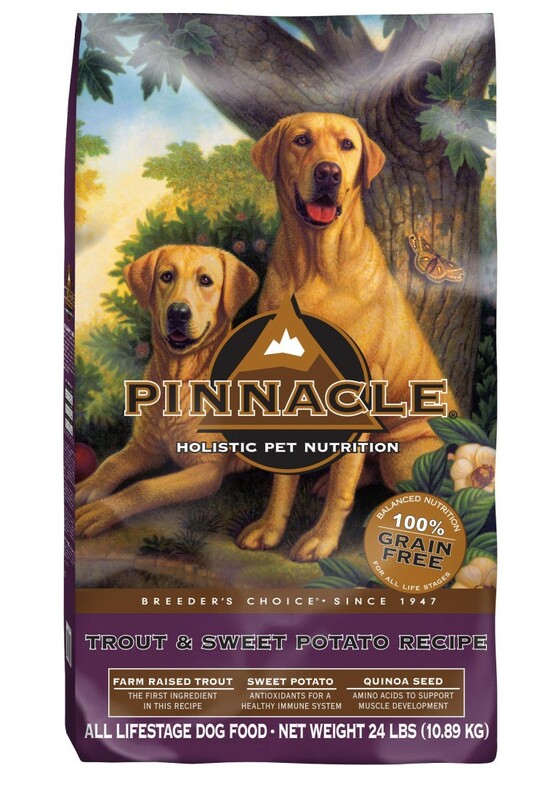 Pinnacle holistic dog food delivers tasty good health which is also good for dogs with sensitive stomachs. When Diesel travels he likes to get into the spirit of the land. Dressing for the culture is really important to him. I do believe he wears a cowboy hat and scarf with style! HA! 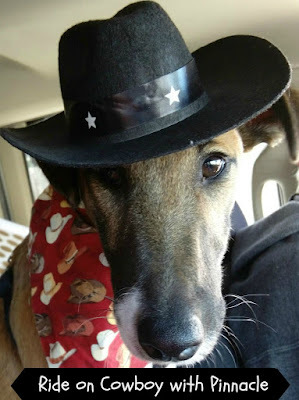 I love your cowboy dog! So cute. We've never been to Yellowstone, but it's on our family bucket list of vacations! Your dog is adorable! I love all those healthy ingredients in that dog food! I'm gonna have to see if any store carries it here in Maine! Love the pictures! Your pup is so cute and love how healthy the dog food is! Aww! 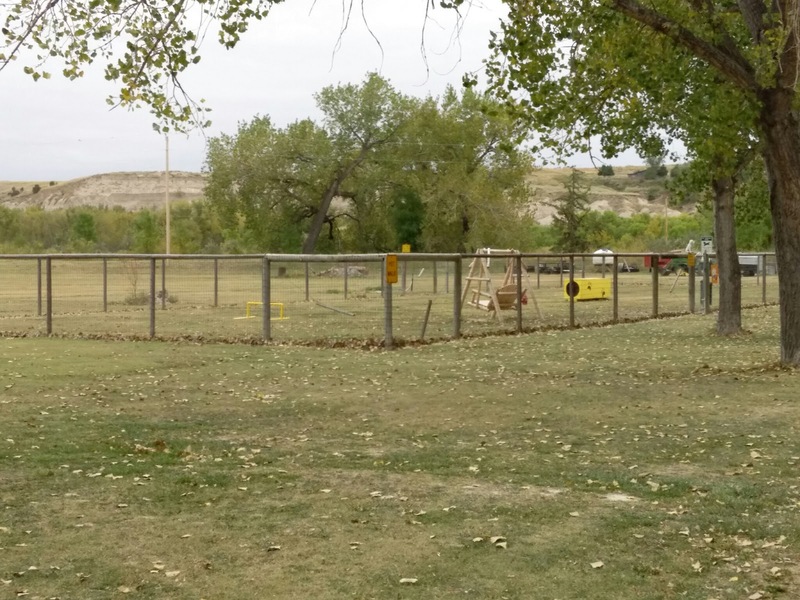 A cowdog! So cute. I've never heard of Pinnacle before. I'll have to do some research on it. Thanks! It sounds like you had a wonderful trip. I can't believe you were that close to a grizzly. I bet you will never forget that experience! Our dog HATES to travel - I wish he didn't so that we could take him more places. It sounds like you're having an amazing time though! Love the picture with the cowboy hat and bandana! Our dogs love to travel. Never thought of staying at KOA with them. I've been to Yellowstone twice and it's my life dream to take my kids! We did take our old dog. She was 15! The only time we ever traveled with our cat was when we moved from Fort Mac to Edmonton and it was HORRIBLE. We had to get her sedated because all she did was howl over and over again. Never travelled with them again. We want the best for our pets. Good Food is probably the best way to love them! This sounds like quality dog food. I would definitely give it a shot. I can't believe you guys got to see a grizzly up close! Seeing a grizzly bear close up would be cool. I think it would freak me out though. Your dog is so cute! It looks like he is having a great time traveling. Wow! That is so neat you got to see a grizzly up close. It looks like you are all having a good time. Diesel is such a handsome cowboy. Sounds like he's having lots of fun! We do not have a dog but your dog is looking very cute in his cowboy hat. As for the bear, I would freak out if I saw a bear up close. We haven't taken our pets with us on a trip in a long time. They actually seem to really enjoy the car ride. Next time we hit the road, I need to bring out Pinnacle with us. He looks so cute in that hat what a great picture. This is a great brand dog food - my last dog had a lot of health issues and the vet recommended this as one of the brands for her sensitive tummy. Your dog is so cute in the hat. Traveling with the dog sounds great! Looks like a good food for all the dog owners to try! It is always a nice thing to be able to travel with your pet. My family always like trips where we can bring our dog along. It makes the vacation really a family vacation. I have always wanted to go to Yellowstone. Looks like a great trip! Diesel is so handsome! It is always great to be able to bring a pet along when you travel. Thanks for the coupon, I've been looking for some new food to try for my dog. He's very active so this would be perfect. I don't have dogs but y daughter has two. I will pass this along to her and see if she is in the market for a new dog food. I've never been to Yellowstone but sounds like tons of fun! Thanks for the coupon! Thank you for the coupon! I will definitely check out the brand! My dogs get sick in the car rides, so we never take them out! Your dog is too cute in the hate! Yellowstone is so beautiful isn't it? I'm not familiar with Pinnacle and will check it out. I miss Yellowstone! I visited there with my grandfather when I was a kid. I loved the trees, the wildlife! It was breathtaking! My dogs love to travel anywhere we go. I have been hearing some great things about Pinnacle and I will be trying it for my fur babies soon.